While nobody is suggesting that you start your day staring into a mug of warm, green liquid (a particularly unappetizing concept, especially if you use cream), there is scientific evidence that drinking coffee can help reduce the risk of developing diabetes. 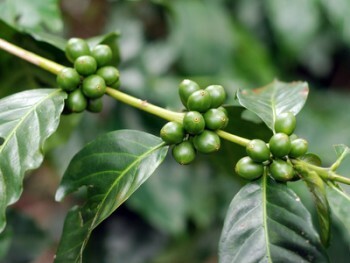 It is just that green, or unroasted, coffee beans contain more of the chemical that controls diabetes than the normal black, roasted coffee beans we have grown to crave in our morning beverage. According to Dr Joe Vinson from the University of Scranton, Pennsylvania, epidemiological evidence exists that suggests drinking coffee reduces the risk of Type 2 Diabetes. While the optimal coffee consumption appears to be between two and four cups a day, people who drank as many as seven cups a day cut their risk of developing diabetes by 50 percent compared to people who drank only two cups1. In the United States, 8.3 percent of the population, that’s 25.8 million adults and children, have diabetes. Among these 25.8 million Americans, 18.8 million people have been diagnosed while 7 million have not yet been diagnosed. A further 79 million people are prediabetic; that’s more than three times the number of individuals who actually have diabetes. Contrary to what most people believe, there is more to coffee than caffeine. The chemicals that appear to regulate glucose levels in both normal and diabetic individuals are called chlorogenic acids. While these occur naturally in fruits and vegetables such as cherries, plums, apples and dried fruits, they are present in their highest concentrations in unroasted, or green, coffee beans. You would be forgiven for thinking that green, unroasted coffee might lack the tantalizing, wake-me-up aroma that emanates from a hot mug of dark roast and you would be right. Fortunately, mainstream coffee houses like Starbucks have worked a way around that. Instead of trying to mash squidgy green, unroasted beans into a hot beverage that would be messier than it’s worth, they have incorporated it into refreshing cold drinks. What could possibly be more thirst-quenching on a hot day than a chilled goblet of energizing raspberry pomegranate or orange melon? Green coffee extract, as it happens, is actually low in caffeine, making it ideal for people who are trying to reduce their caffeine intake. This is good news for everybody. To the caffeine addict who needs their morning coffee to find a reason to get out of bed in the morning, and stay out of bed throughout the day, this is sufficient justification to not worry about kicking the habit. For those trying to reduce their caffeine intake, they can keep drinking decaf, smug in the knowledge that they are still getting the benefit of the chlorogenic acids. For everybody, it is a convenient excuse to try the new cold beverages made from green coffee bean extract. 1Vinson JA, “Coffee bioactives: More than just caffeine.” 245th ACS National Meeting and Exposition. 2013.